Most of us feel relief when our GPS says, “You’ve arrived at your destination”, especially after driving in an unfamiliar city dense with traffic. Dealing with the glut of daily document flow into your business in the form of emails, invoices, payments, social media data and more is a ‘traffic jam’ of another kind. In this case, document process improvement is like your GPS. As regulations increase, security concerns intensify, stakeholders demand more accountability and customer service expectations grow—efficient document management is more critical than ever. Poor document management drains resources and damages reputations. Inefficient electronic and paper document management comes at a cost and often hits small businesses. The ever-increasing flow of information, stored in separate systems and locations, becomes less useful and can take longer to find. Next year will continue the escalation of all these issues. Process improvement mapping is an effective, trusted approach that will show cost-saving benefits to your business. 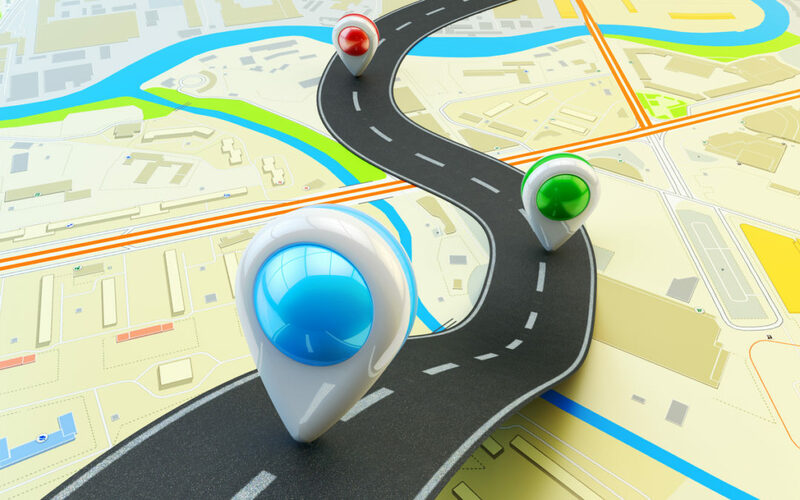 Mapping offers a ‘GPS-like’ path to effective decision making. Process improvement mapping breaks down document flow to its most basic steps to uncover inefficiencies that cause errors, delays and duplication of efforts. Observing and gathering information from participants in all phases of the document handling process. Breaking the process into its unique tasks and decision points. Creating a plan for improvement. An unbiased view of your process. Mapping software that can do the heavy lifting. Finding insights into hidden problems and processes. Experienced mapping experts also know how to ‘dig deeper’ to find the pain points in your operation and the root causes draining your efficiencies. Space taken up by files. Issues when sharing data between departments. Protection of documents from disaster. Talking to management and the employees is also part of the mapping process. It’s a way to take the “blinders” off and get new insights into inefficiencies. A recent study by Adobe shows that 61% of global professionals would change jobs even if the only benefit was dramatically less paperwork—and 83% feel their ability to be productive at work are slowed down by outdated ways of working with documents. The guru of great quality, W. Edwards Deming said, “A bad process will beat a good person every time.” Document process improvement promotes buy-in from “good” employees who are feeling the frustration of poor document management. Effective document process improvement pays off. An effective document management strategy could reduce cost by 30% and lower risk by 23% according to International Data Corporation (IDC). It’s worth talking to a document improvement mapping expert to learn how process improvement breaks the barriers holding back the efficiencies in your system. After implementing the changes, you can continue to use the mapping as a jumping off point for continuous improvement. Results matter. Look to your future. Availability of documents, fast retrieval, increased security, improved customer service, and a reduction in print out-put are just a few of the benefits of document process improvement mapping. Let it guide you to a new path to success!